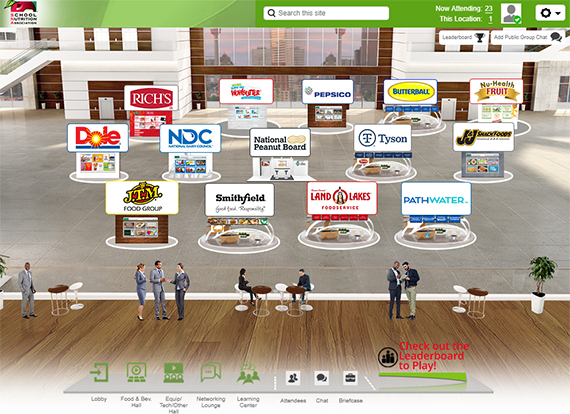 Virtual Expo Now Open—Chat Live with Exhibitors for Your Chance to Win! The future is here! 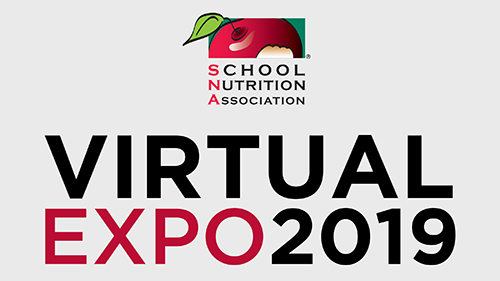 Virtual Expo 2019 is now open! Come and see what the future holds in store for K-12 foodservice products and services—no travel required! Register now. Be sure to visit all 25 booths in the Food and Beverage and Equipment/Tech Halls. Once inside the booths, download literature, view videos, and get your questions ready to ask the exhibitors. Make time to chat live with our exhibitors on the following dates and times—bring your questions! Everyone who participates in a live exhibitor chat will be eligible to win a special giveaway! Start earning your CEUs by watching the first five Best of #ANC19 education sessions in the Learning Center—available to you 24-7, and come back as often as you would like. We’ll be adding new sessions every two weeks, and the next ones will be released on February 19. Visit booths, engage in exhibitor chats, view content, and more to earn points on the Leaderboard—the top ten attendees with the most points will be entered in a drawing to win one of 10 $25 Amazon gift cards at the end of the Expo!